I remember whan I was a kid, pizza was my favorite food. When I spoke of pizza as a kid, I meant the every day Dominoes delivery kind of pizza — the kind that my childhood idol, Michaelangelo from TMNT liked. As an adult now, my pizza pallate has evolved into something more. Before, the crust was just an obstacle for the good stuff, also known as the meat and cheese. Now, the crust is most important component for a good pizza. At Pizzeria Mozza, you can have your adult pizza. The crust is uber thin, and the toppings are of the highest quality. 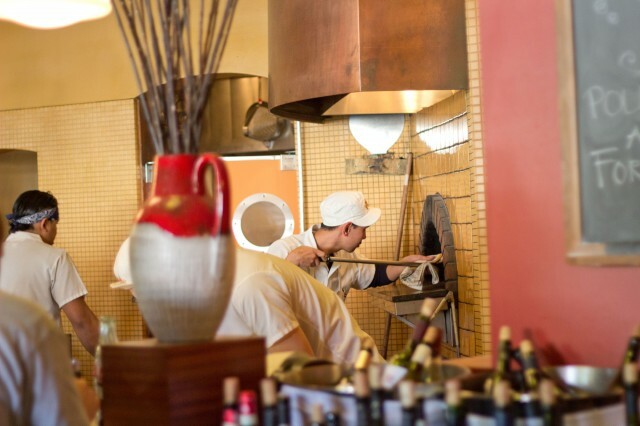 Masterfully baked in their woodfire oven, their pizzas are some of the most coveted in Los Angeles. Pizzeria Mozza is a power house. Not only do you have Nancy Silverton, the bread baking extrodinaire who founded La Brea Bakery, you have Mario Batali in the mix. With the help of restauranteur and tv personality Joe Bastianich, Pizzeria Mozza was bound to thrive. Gourmet pizza nowadays is easier to find in Los Angeles — they are everywhere! 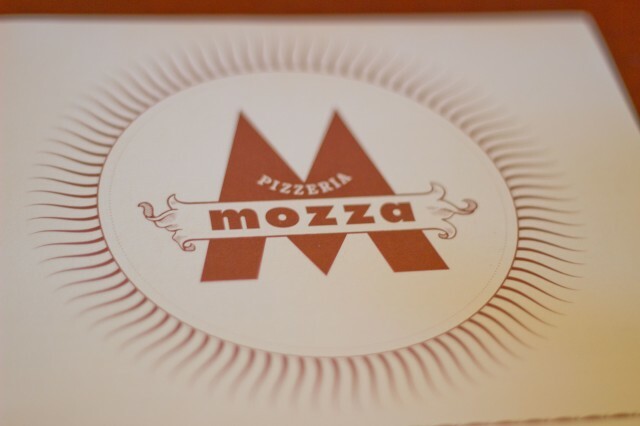 Pizzeria Mozza is special and is one of the few who started the gourmet pizza trend in Los Angeles. Backed by the Mario Batali and Nancy Silverton also doesn’t hurt either. Do to it’s popularity, reservations are a must. Luckily, there were a couple of seats available at the bar. I was ready to have my pizza! Instead of traditional bread, they served grissinis. 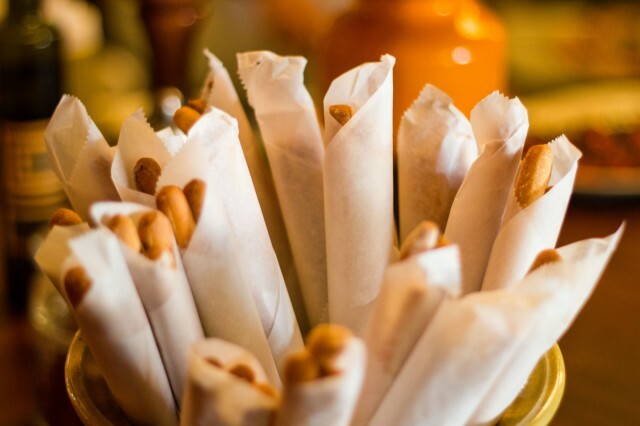 The crunchy bread sticks in the form of long pencils were a nice light snack before dinner. Having not much flavor and a lot of crunch, it was still fun to munch on these bread sticks. 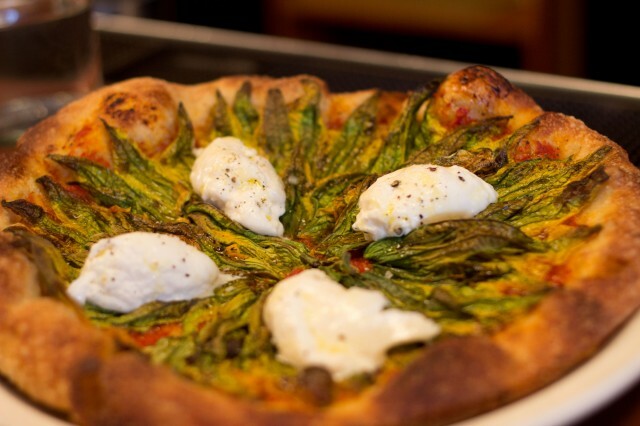 One of Pizzeria Mozza’s most famous and most expensive pizzas is the squash blossoms pizza. Though I would rarely shell out 20 bucks for a pizza, I had to see for myself what all the fuss was about. At first bite, the mixture of the tomato and burrata was pristine. The tomoato flavor was subtle and the burrata had a gentle milky flavor. Delicate in texture, the burrata was silky smooth. Married with the flavors of the squash blossom, everything came together nicely. Texurally, the dough was perfectly chewy and airy on the inside and crisp on the outside. The squash blossoms roasted in the oven made it light and crisp. This brought out the flavors quite nicely. For a meatless pizza pie, it was pretty dang good. 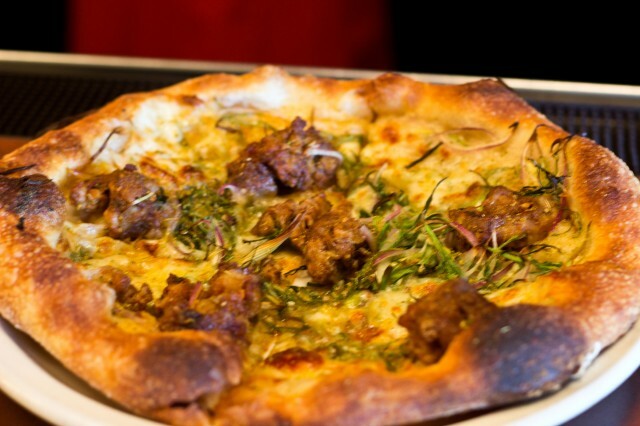 For my meat fix, I ordered the fennel sausage pizza. Topped with house-made sausage, the subtly sweet yet savory sausage was the star. Pops of fennel really brought out the flavors nicely. The herbiness of the red onions and scallions balanced out the fatty sausage nicely. I don’t quite know if this was better of the two pizzas. The sausage on this was perfect, almost life changing, but the squash blossom pizza as a whole was better. 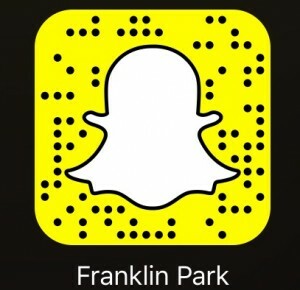 Get both! 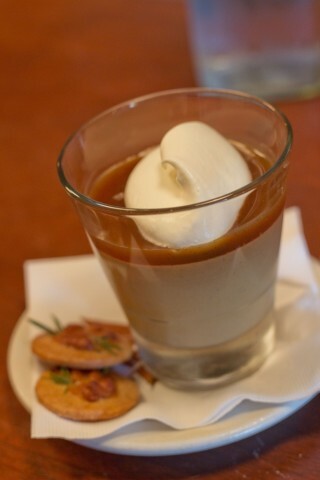 To end things, I ordered their butterscotch budino. A play between a sweet and decadent budino and savory rosemary pine nut cookies was teasing the senses. The caramel and butterscotch was quite sweet, but the help of Maldon sea salt helped intensify the taste. The cookies alone were a bit bland and not sweet. The elements of the rosemary in the pine nut cookie and the budino was a match so complex and delicate. This was a beautiful dessert. Everyone knows that Pizzeria Mozza is the LA standard when it comes to artisinal pizzas. The service is near perfect and the pizzas are exceptional. You have Nancy Silverton for the crust, and Mario Batali, true Italian at heart. With these two, a perfect pizza is bound to be born. The restaurant is casual and well-appointed. Though I only had the pizza there, I’m sure the other items are just as good. As a child, pizza was my favorite food. Now as an adult, Pizzeria Mozza made pizza one of my favorite foods again.